The Austin 1800's nickname came about as a result of a casual comment by an Australian journalist, who when taking rally pictures from a helicopter through a telephoto lens remarked that the cars looked like "Land Crabs" as they cornered sideways. They were first called Post Office Land Crabs due to their red and white livery. On paper the 1800 falls into what Abingdon called the "Barge" category they were heavy  1150kg kerb weight without the rally equipment and big both inside and out! But their saving grace was the much maligned Hydrolastic suspension combined with the strongest bodyshells ever made by Longbridge gave this middle management tourer a unique ability to travel quickly over rough rally roads. It was more to do with the actions of the Publicity Department at BMC than with the Competition Dept that the 1800 got its rally debut. For the 1965 Monte a couple of ex-press demo cars were prepared for the event. DJB 94B was crewed by Raymond Joss and John Fitzpatrick and sponsored by ITN. AOB 987B was crewed by Tommy Wisdom, Courtenay Johns and John Sprinzel and sponsored by The Daily Telegraph. Neither cars set the rally world alight, DJB 94B finished 29th overall despite crashing due to brake fade and AOB 987B finished 32nd. The first true "Works" 1800 was LRX 824E which was an ex Longbridge development car fitted with a full Group 6 engine  twin 2" SU carbs producing 136BHP. As there was insufficient time to paint the car the normal comp shop red the black car received a white roof instead. 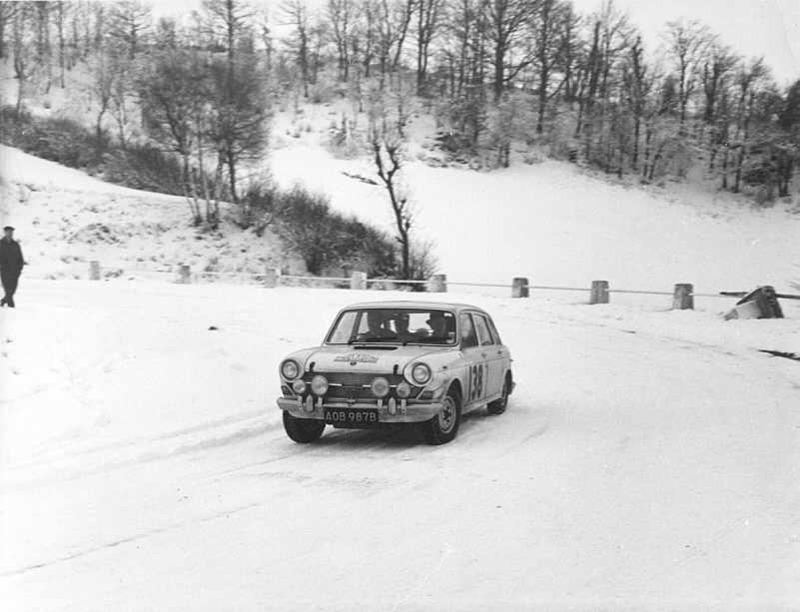 The car was sent off with Tony Fall and Mike Wood to Prague for the start of the Danube Rally using the rough roads across the back end of Rumania. To every ones delight and much surprise they won! Whilst this was good news for BMC, the hierarchy now saw the 1800 as a winning rally car. The same car carried Brian Culcheth and Johnston Syer on the Alpine, a fast road rally not really suited to a large heavy car but again the 1800 surprised everyone by winning its class against some exotic opposition. Bob Freeborough also used the car to win the Moss Tyres National Rally. For the 1968 Monte, 3 cars were prepared in Group 2 single carburettor form, they were KOC 391E driven by Brian Culcheth and Mike Wood with LOF 179F driven by John Sprinzel and John Ryan and LOF 238F driven By Peter Jopp and Willy Cave. After Brian Culcheth came in 24th BMC believed they had a car capable of winning rough events not suited to the Mini Coopers so 3 cars were prepared for the 68 Safari Rally and a programme of testing undertaken at Bagshot. Three new cars were prepared for the event registered as ORX 661F, ORX 662F and KOC 391E. The three cars were air lifted to Nairobi but the event proved to be a complete disaster. Problems with the front suspension sidelined two of the cars and the third stopped with a seized engine when the oil cooler burst. BMC knew what the problem was but were unable to effect a solution in Kenya. So soon after this BMC sent Brian Culcheth on the equally rough Acropolis Rally (see above) to see if they had resolved the problem  he finished 10th having been delayed with a puncture on a very muddy section. The old KOC 391E that had competed in the 68 Monte now mysteriously re numbered as ORX 663F was shipped out to Canada to do the Shell 4000 was driven by Tony Fall, who, despite rolling the car finished second in his class. Freed of the usual minefield of rally regulations  the Marathon rules boiled down to any two wheel drive car with a maximum height stipulation so that the cars would fit into the hold of the SS Chusan. Seven cars were prepared for the Marathon based on the experience on the Safari and the Acropolis Rallies with over of 600 hours of testing round Bagshot. RMO 723F a new car incorporating some of the rally car modifications was sent off to survey the route with Paul Easter, Henry Liddon and Tony Nash as crew. The exploits of the survey would almost fill a book, but after coping with burst suspension, leaking oil coolers, and floods the car finally expired near Indore with a blown head gasket and finished its trip to Bombay on the back of a lorry. Den Green, the works mechanic who was supposed to drive the car back to the UK found it was suffering from a cracked block and the suspension was "shot" abandoned the car in Bombay. The final specification of the Marathon cars was based on the newly introduced Mk2 1800S models but with some major modifications, they were built up from bare shells, had Mk1 suspension with the larger front displacers fitted to the rear to cope with the increased load. The body was strengthened in the area of the boot floor and suspension housings to allow fitting of Koni telescopic shock absorbers front with front and a rear anti roll bars fitted as this had been standard on very early Mk1 cars. The engine was not highly tuned - its capacity was increased to 1894cc, the camshaft was the standard MGB grind and the head was re-worked by Downton, the inlet was 1800s with twin 1.75¾ SU and the exhaust was special exiting through the rear apron. The output from this little lot went through a competition clutch to standard gearbox ratios and gave a reliable 100bhp at the lightened flywheel  about 77 at the wheels  not much for such a heavy car. The Diff was 4.1 again from the Mk1 and they ran on 13" Minilites shod with 175/13 Dunlop SP 44 or for the Nulabour in Australia SP Sports. I do not intent to give a blow by blow account of the event, suffice it to say that all the factory 1800s finished and the Paddy Hopkirk car was second. He could have won if Evan Green had not stopped to pull Andrew Cowan back on to the road, but as the Hillman mechanics lent BMC a welder to fix Rauno Aaltonen's car and gave Paddy some 100 octane petrol for the Lataban section the honours are about even. BLMC went on to enter the Triumph 2.5 PI and Maxi but Special Tuning were kept busy preparing the nine 1800s used by the private entrants. Nine cars were prepared for World Cup Rally based on the London/Sydney specification and cost about £2000 just for the preparation. Only 3 cars finished the event the best placed car was OOH 774G driven by Phil Cooper/Bob Freeborough/Reg Redgrave. It came home in 9th place and was the second private entrant to finish, a very good effort considering the owner Reg Redgrave was on his first rally! The Hopkirk car currently resides in the Gaydon Museum having been restored to do the Pirelli Marathon. The other SMO rally cars were left in Australia. 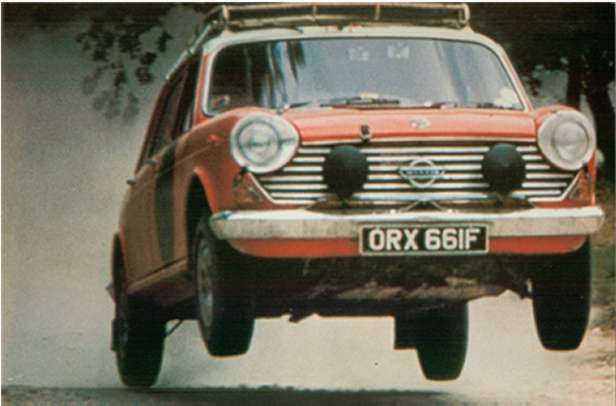 Andrew Cowan used SMO 974G  the Ex Tony Fall car being re-registered as ATF 353 to win the Southern Cross Rally in 1969. 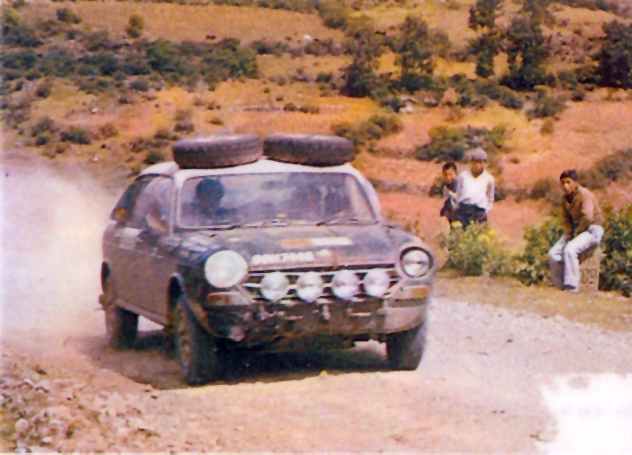 SMO 225G was re-registered as AKO 258 and used as an Autocross car and was later broken up by the factory to make the Australian Works Kimberly Rally Car, very few parts of the Kimberly survive. SMO227G was used by Greg Garrard on the Southern Cross rally, rebuilt and used by Ken Tubman on the 1970 World Cup Rally finishing 10th and is believed to be the only car to have completed both the World Cup and London Sydney Marathons. All told, nine Marathon 1800s survive with three other cars whose fate is unknown  there may still be another one out there somewhere! Several of the cars were sold off after the original marathon and continued to be used in motor sport. NKG 777G did the Welsh, RAC, and Monte Carlo rallies. NAM 616G did the Monte and many UK Club rallies. John Taylor bought what he thought was SMO 225G and used this with great success on many Australian events, so when in 1993 there was a re-run of the 1968 London-Sydney Marathon the car was re-built. During the re-build the drivers seat was seen to have Tony Fall's name painted on it  throwing some doubt on to which car it was. The car's identity was not fully confirmed until 2002 when a copy of the original registration document was obtained from Berkshire County Council confirming the chassis number to be that of SMO 974G Tony Fall's car! The 1993 re-run attracted an entry from Pete Woodward and Nick Grace in AGF 543G and they finished the event (John Taylor crashed out) after a total rebuild of the rear suspension in the Perth workshops of Ken Lyle. Davis Wilks and Andrew Beddingham completed the Peking-Paris rally in GPX 29N and David has used the car on many events since including the Dash to Marrakech. After the 1968 London-Sydney Marathon Lord Stokes pulled the plug on the Competition department and some of the staff were made redundant. No more full works 1800 were produced and only 4 cars came back to the UK. A reconnaissance car SMO 223G  The Red Arrows car ORX 663F (now missing) and VLM 128G, Royal Navy car are in private hands  the last two are only semi works as they were built at Abingdon but not to the same specification as the full works cars. For the 1970 London to Mexico Rally a number of privately entered 1800s were modified by BL Special Tuning, the factory entering a Triumph 2000, Maxis and a lone Mini Cooper for the event. Several ex London-Mexico cars partook in other events including the Monte, the Welsh and the RAC as did other private owners in 1800s  even the Army rallied them!